Aviator Sunglasses, big and bold, aviator sunglasses usually have a wire frame and large, oversized lenses. They come with a variety of features, including UV protection and polarization. Bi-focal Sunglasses, Bi-focal sunglasses have two different focal lengths. Often the sunglasses have a magnifying portion on the lower part of the lens to help you focus when you read. Celebrity Sunglasses, like what Elvis Presley, the Terminator often wear. Designer Sunglasses, there are many famous designers produce sunglasses to complement their lines. like Armani, Dior, Tom Ford, you may find the one that suit your style. Driving Sunglasses, Driving requires a most versatile lens, enhancing your vision in all conditions. Featuring lenses engineered to improve contrast and reduce eye fatigue so you see better, drive safer. Novelty Sunglasses, Novelty sunglasses can make you the life of any costume party. They may offer little in the way of eye protection or vision enhancement, but they are a lot of fun. Sport Sunglasses, there are many kind of sport glasses like water-resistant sunglasses designed for water sports, durable and lightweight sunglasses designed for rock climbing, and sunglasses designed for any sport in between. Most sport sunglasses come with scratch-resistant lenses. Popular sports sunglass brands include Oakley sunglasses, Arnette sunglasses, and Native sunglasses. The most important elements of effective sports sunglasses are the optical quality and visual enhancement properties of the lenses. 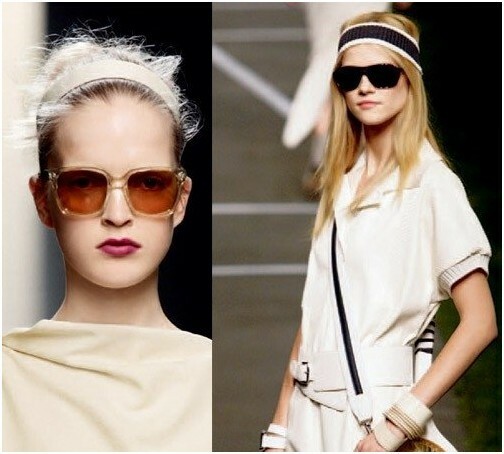 Vintage Sunglasses, are the type of sunglasses like Jackie O or Tom Cruise in Top Gun. And great for collection.